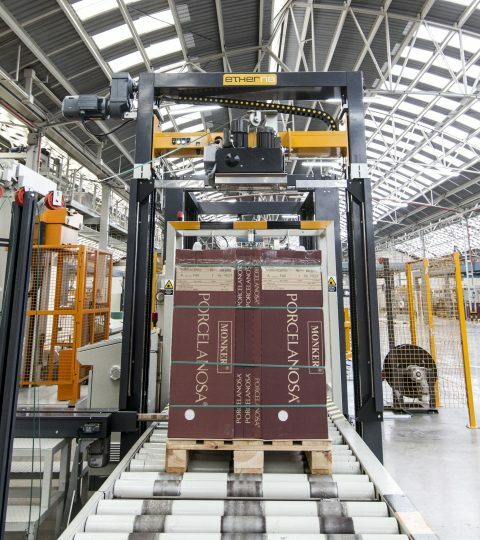 Discover the innovative Stretch Hood SH|PRO pallet wrapping system. Save on consumables and get protection, security and a better presentation of your pallets. This packaging system adapts to all types of industries. The shrink hood system adheres the film completely to the load with heat application. Achieve a fully sealed, watertight, and protected final product. We design and manufacture automatic ring wrapping systems for the end-of-line. The AWR|PRO wrapping system offers effective stabilization for handling and transporting your loads. 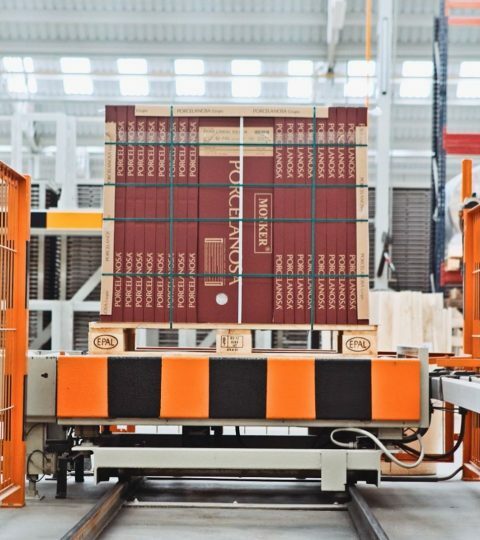 Our automatic strapping systems will achieve the best stabilization possible for your pallets. We specialize in horizontal and vertical strapping, with optional accessories for compacting, use of corner protectors, sealing machine, etc. Conveyor systems are the perfect complement for your end-of-line, guaranteeing a constant flow for the production. We design and manufacture our own conveyor and pallet centralizing systems, lift platforms, hoists, and more.